During Programme No. 9, 20 March till 11 April, 2010, exhibition “Rest Hour” by creative group “Kuda begut sobaki” from Yekaterinburg, Russia at the Kim? / RIXC Gallery. Exhibition “Rest Hour” showcases seven works – 6 optical devices “Antivirtual Helmets” and video “Road”. Work “Antivirtual Helmets” was selected for the 1st Moscow Art Biennale and the 8th Krasnojarsk Biennale; however, the variant which has been brought to Riga is brand new. All visitors are invited to try the antivirtual helmets. Each helmet has different optics – helmet no. 2 has been created so that left eye of the person who is wearing it is looking straight ahead, while the right eye sees what is behind the person. When wearing helmet no. 4, the left eye is looking to the left side and the right eye is looking to the right side thus suggesting how fish might see the world. Helmet no. 5 will show the person from above. Helmet no. 6 will show the world through three wide angle lenses. When wearing helmet no. 7, the person has the opportunity to choose either to look lower or higher than the level of the eyesight or with just one eye higher and the other one lower. Helmet no. 8 will exchange the perceived by the left eye with what has been perceived by the right one and vice versa. When trying on the helmets the person might get confused and feel disorientated at first since it takes about 20 minutes for the brain to adjust to the new situation. It also takes time to adjust to reality once the helmet is taken off. Video “Road” has been exhibited at the Moscow Art Biennale, Kansk Video Festival and Moscow Art Forum. “Kuda begut sobaki” was founded in 2000. In their works, they look at issues connected with technologies, habits and superstitions of modern people. The group unites artists, programmers and engineers (Vlad Bulatov, Natalia Grekhova, Olga Inozemtseva, Alexey Korzukhin), who create kinetic sculptures, objects, installations, videos, gadgets, carry out actions. They create works both for art and for science and technologies exhibitions. The group has realized several projects in collaboration with scientists: “Field” and “Field-2. Eye” in collaboration with the Magnetics Faculty, Ural State University, installation “Jelly and Lightening” in collaboration with the Ural State Technical University. and others In their works physical experience intertwines with mythological messages. “Kuda begut sobaki” strive to create images of optical and poetical illusions and tackle the theories of technologies and fantasies through their own experience. In 2005, “Kuda begut sobaki” were invited to have an exhibition at the State Tretyakov Gallery. 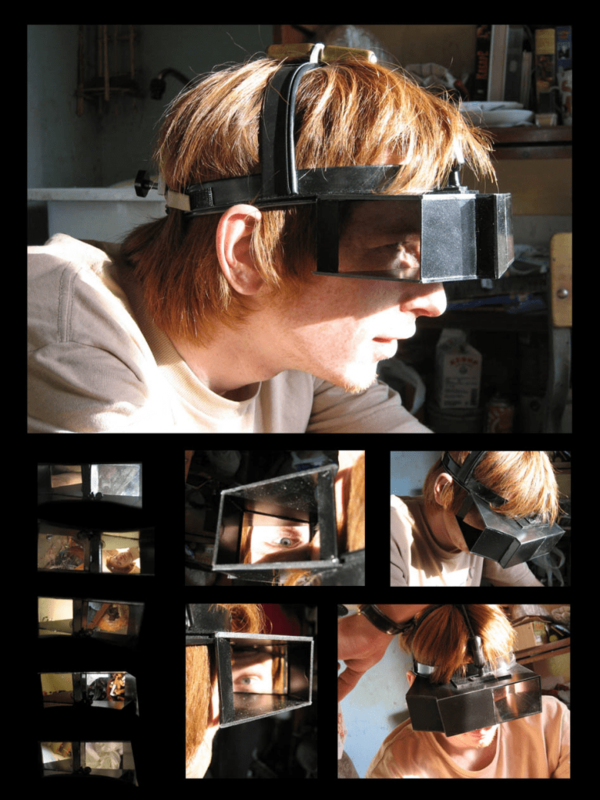 „Kuda begut sobaki” have visited Latvia on several occasions – in June, 2009 “Kuda begut sobaki” were artists-in-residence at SERDE artist’s residency centre at Aizpute and during their stay they worked on the project “Mirror”. “Mirror” was exhibited at the 3rd Contemporary Art Biennale in Moscow and at the 8th Krasnojarsk Biennale.